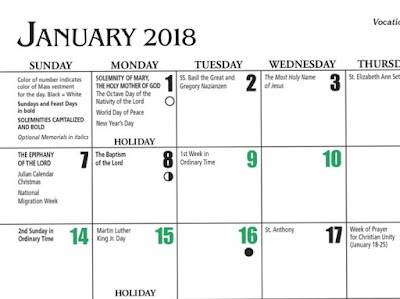 My older and wiser sister Norma Fairman, who lives in my hometown of Sudbury, Ontario, reminded me the other day that when we were growing up together, one of the many holy days our late mother acknowledged was January 3, two days after New Year's. Mom and Church officials called the day the "Feast of the Most Holy Name of Jesus." Before I tell you why Norm and I were on that topic, I should remind you that I was raised in a Roman Catholic household, and that our mom, Huena, was as familiar with the church calendar as any one of her children is with the route to the nearest beer store. Huena was so conversant with which saint gets revered on which day, she could have turned it into a party trick, or a game of theological jeopardy. Me (or better yet my brother Alex. Get it? Jeopardy? ): "What is July 25th?" Huena, on a moment's notice, knew where to turn for quick assistance from heaven. St. Anthony could find your lost car keys. Or a quick prayer to the patron of music, Cecelia, might help you make the senior girls' choir, so you don't end up being asked to "turn pages" like what happened to your sister. Then there was St. Blaize. Blaize was an Armenian doctor, monk, and--ultimately--martyr who died in 307 A.D., after--according to Wikipedia--"being attacked with iron combs and beheaded." JUST SAY AHEM: Or should that be ahymn? Blaize had something to do with respiratory ailments. On his feast (Feb. 3), Catholics across the world (at least on our street) traipsed to church to line up then one by one--sometimes I can't believe the stuff I write--and stand in front of a priest who held crossed candles under our throats and murmured some little prayer to St. Blaize to fend off throat disease. Sounds weird, I know, but--and I never thought about this until right now--in all my years I've not had so much as tonsillitis. But let's get back on topic here. Just mentioning the St. Blaize ritual reminded me of another ritual and why Norma and I were talking about the Feast of the Most Holy Name of Jesus. Here's what Norma told me. She was laughing about the fact that even though we called it "The Feast of Most Holy Name of Jesus," January 3 actually commemorates--I hope you're sitting down--the day Jesus got circumcised. When she told me Norma laughed. I, and I don't use the word literally loosely, literally squirmed. 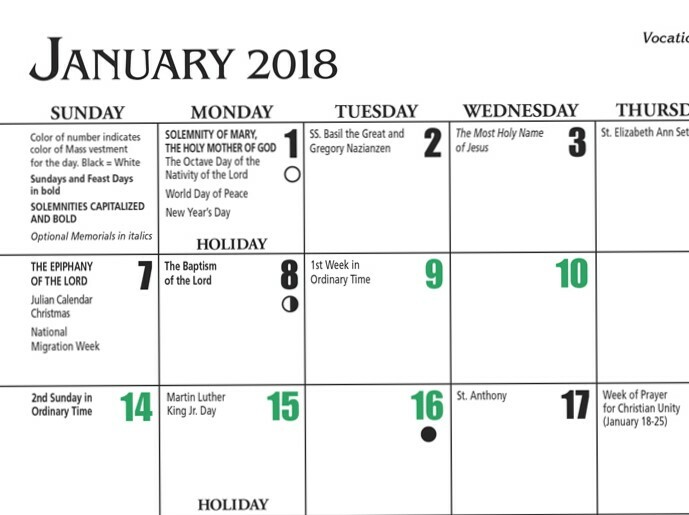 I've lived a long happy life not knowing about the real meaning of January 3, but this year, thanks to my loving sister Norma, this coming Wednesday will be just a tad less comfortable. One of the reasons we all remember Huena so fondly is that she had a way of editing the world for her kids. She worked hard to get us into heaven; and she shielded us from as many ugly truths as possible. God bless my mom. On the other hand, as evidenced by her delight in telling me about Jesus' 'procedure,' I've long known that when it comes to Norma, I can always count on her to cut to the quick. I guess that's what older sisters are for. THAT SMELL: It's either incense or my pants on fire. When I was five--maybe six--I knew what was right and I knew what was wrong. Some people spend lifetimes searching for the answer to that question. 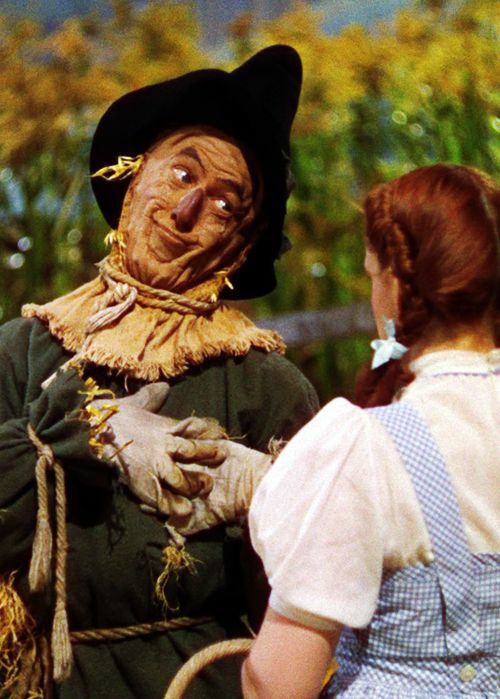 I'm here to tell you that by that welcome June day when I graduated out of Miss Winnie Trainor's second-grade, I had reached the Age of Reason. At five or six years of age, we Roman Catholics could receive Holy Communion but couldn't do so until we were in a State of Grace. To get there meant knowing right from wrong. Barely big enough to cross the street alone, every second or third Saturday, between 4:00 and 6:00 p.m., while Protestant kids in their Protestant houses watched complete Bugs Bunny cartoons, we Carters and other little Catholics in the 'hood marched up to St. Clement's Church to go to Confession. 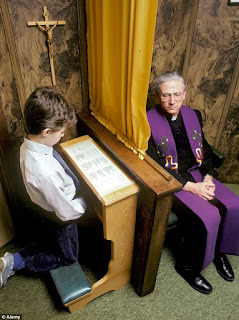 And it was there, in the Confessional, that--and this sure won't come as a surprise to Catholics of my vintage--we made stuff up. Yeah, although fibbing itself was a sin, we felt the need to have something worth confessing, so we lied in Confession. The logic and morality that went into this is noggin-numbing. I never pretended to commit big sins like robbing banks or murder; just little ones such as having impure thoughts or swearing. If I had actually "taken the Lord's Name in vain" as often as I confessed I had, "Jesus" would have been the single most-often-used word in my minuscule grade-one vocabulary. 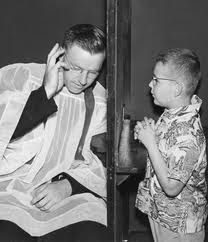 Still, there I was, in my squeaky little-boy voice, confessing to Father O'Driscoll or Monsignor Salini, through the Confessional curtain, "I took The Lord's Name in vain seven times." It fell to us to keep tally. WANT FRIES WITH THAT WHOPPER? I'm sure priests knew what we were up to. Reminds me of a Steve Martin routine. Imagine if after you die it really is clouds and heaven and harps and some bearded guy meets you at the gate with his checklist. He says, "Lemme see. You took the Lord's name in vain two million times." And you're like, "Two million? Jesus!" But back to me. One of my go-to imaginary sins was "fighting with my brothers and sisters," which was weird because there's no commandment about that. Plus it never happened. I was the youngest of 10. My parents had the same management strategy as the Chinese government uses and it is, don't dare let anything start or all hell rather heck will break loose. Among the Carter-house rules was, "No hitting anybody smaller than yourself." As the runt of the bunch this was a regulation I could work with. Except I never had to fight for anything. As the baby of a great and big family, all I needed do was ask or whine or complain and voila! all my wishes came true. Every time. Same holds true to this day. My mom and dad and brothers and sisters know a thing about unconditional love. Did I mention that at the same time as I was making my first Holy Communion, my loving brothers and sisters nicknamed me? Little Hitler. Yup. That was me. Little Hitler. I've forgotten the point I was trying to make. SEND IN THE CLONES: I just grabbed this photo off Google Image. They're not St. Clement boys but they sure look the part. I have decided that time has come to share, after all these years, the true story about my (far-too) lengthy career as an altar boy in St. Clement's Church in my hometown of Sudbury, ON. There are reasons I haven't touched this topic before. You'll soon know what they are. 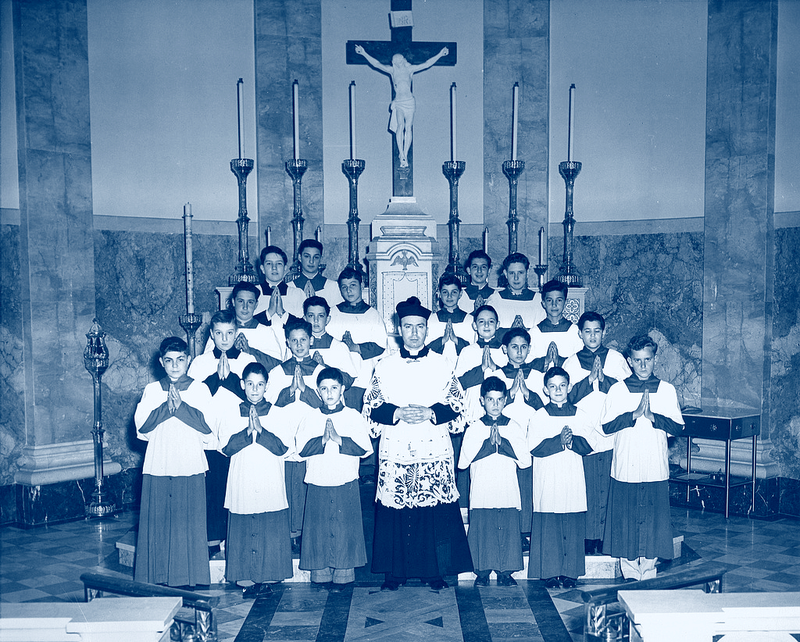 But first, for anyone who doesn't know what I'm talking about, altar boys (these days they're "servers" and it's not just boys, thank goodness) help priests during Roman Catholic masses. When I was a kid, most servers were in grades four, five or six. The real senior guys we looked up to--the ones who got the important jobs like carrying the crucifix up the aisle during Good Friday ceremonies--were almost adults. Grade seven or eight even. Here's confession number one: I was an altar boy way too long than was healthy. There were times, on any given Sunday afternoon, my contemporaries were roaring around Sudbury in sup'ed up Chevy Novas smoking weed they kept in the glove compartments while Pete was at church. Speaking of Fr. Frank, fast forward 18 years--from 1968 to 1986--until you arrive at my older brother Alex's living room, days before my wedding. Father Frank, still the parish priest, was in attendance. And holding a glass of Canadian Club whisky in one hand and a Peter Jackson cigarette in the other, Father Frank said, "Peter, until this moment, I was under the impression you were going to be joining us." I was, I believe, 29. Man-o-man had Father Frank ever not been paying attention. So now you're probably like, "You had your wedding stag at your older brother's house? And the parish priest was there? Pete? I'm s-o-o-o sorry." 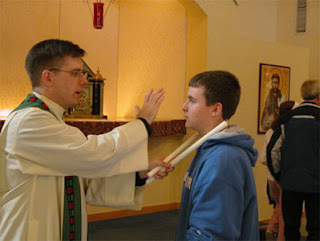 When I started this blog I was hoping to write about the secret life of altar boys but got distracted. Maybe next time. Puts me in mind of something one of my writer pals Debbie Fein-Goldbach posted on Facebook last week. It's a quote from one of Canada's funniest (and darkest) stand-ups, Norm Macdonald: "Hope is never good. Don't try it, it never works out." P.S. Somebody once told me and I choose to believe it that the peerless and inspirational Canadian novelist Robertson Davies waited until a lot of his family popped off before he produced his best stuff. I sure get that. On that note, I'm not 100-percent sure that it was Canadian Club Whisky that Father Frank was sipping or that he smoked Peter Jacksons, but it could have been. But he definitely was at my stag. And it was at my brother's house. That was me all over. Just takin' a walk on the wild side. When I was in grade seven at St. Albert's School in Sudbury, our teacher Mister Gilbert Seguin asked a few students who our role models were. 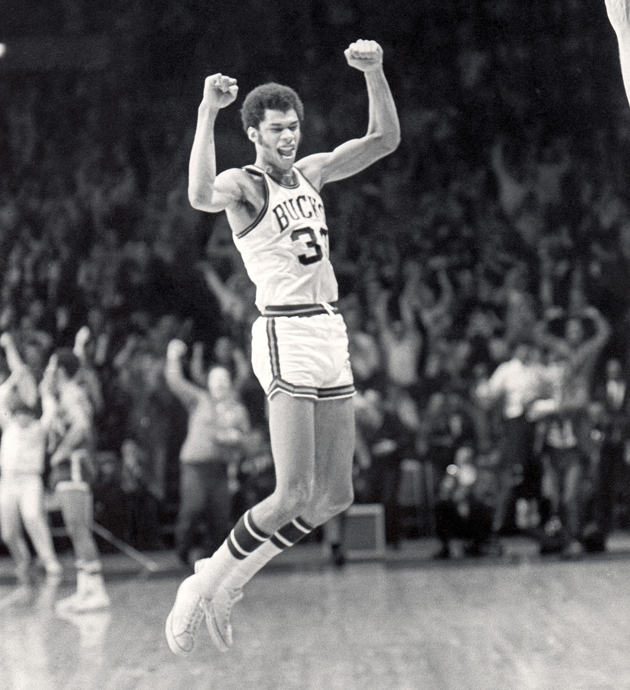 My friend Trevor MacIntyre--easily the star player on the St. Albert Saints basketball team as well as the grade-seven boy most of the grade-seven girls were nuts about--cited Lew Alcindor, an American basketball hero who later changed his name to Kareem Abdul-Jabbar. 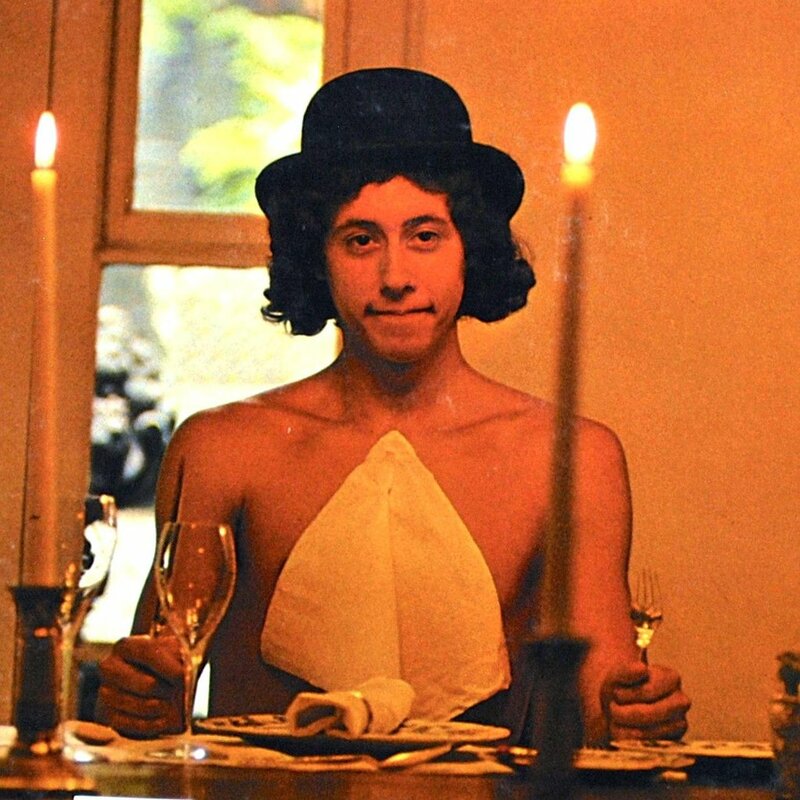 Me, I said Arlo Guthrie, a long-haired folk singer and son of Woody Guthrie and also the star of the movie Alice's Restaurant, which to this day I'm amazed I watched when I was in grade seven. The thing is, Seguin was right. I should be more like Trevor. Trevor's one of those guys--I know more than a few who fall into this category--he's generous and funny and smart. A loving father and patient kid brother. Good provider. 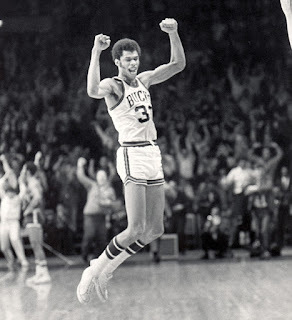 Actually, several of my pals set the personal performance bar loftily like Trev. And they share another other trait, too; one they don't even know about. ARLO can a guy go? And it is this: For my entire adult life, whenever I run into a woman that I haven't seen in a long time, one of the first things--if not the first--that she asks is, "Do you know what Trevor (or one of the others) has been up to these days?" I have about six friends who they ask about, other guys of Trevor's ilk. Nigel Simms, who I've hung out with since university, is one such ilk. I'll be at a conference and a woman will sort of look at me sideways, then be like, "Peter? Peter Carter from Carleton? I'm (FILL IN THE BLANK HERE.) Good to see you." But then--way before she gets to her kids, grandkids or her Pulitzer prizes-- I'll get, "you used to be Nigel Simms' friend. Do you ever hear from him? What's Nigel up to these days??". And while I don't exactly don't what Nigel is up to today, December 1, 2017, I will tell you what he was up to March 3, 1991, two days after our twin daughters were born. Nigel, in true ilk fashion, showed up at my wife Helena's hospital bedside bearing identical hand-knitted baby blankets that his mom created especially for our newborns. That's the kind of guy that peoples Trevor's ilk. Up to that point, I thought the only man my wife Helena loved more than me was the bearded anesthesiologist who 60 hours prior delivered Helena's first and only just-in-time epidural. True story! Years later, when those self-same twin daughters were sent to the self-same hospital for same-day surgery, a rather ordinary-looking and come to think of it portly anesthesiologist who needed a shave entered the room, and Helena whispered, "he's handsome." I remember telling her "you only think that because he's the one who gave you that epidural." But I digress. The more I think about Trevor and Nigel and the others, I have to ask myself why am I even telling this story. It's not making me feel a whole hell of a lot better. I'm reminded of the standup comic--I forget which--who said guys like him (and me) know exactly how the Cowardly Lion and Tin Man felt near the end of the movie when Dorothy was saying goodbye to her three friends but after she hugs the Tin Man and Cowardly Lion, she really throws her arms around Trevor, I mean, Scarecrow and says "But I'll miss you most of all." Not that it bugs me. Besides, I'm sticking to my Arlo guns. How can you not look up to the guy who gave the world the world the Motorcycle Song? I just wanna ride on my motorsickle. And I don't wanna die..